Today the Victorian Society announced its annual Top 10 Endangered Buildings List. Now in its eleventh year, the list seeks to highlights not only beautiful, at risk buildings but also the ongoing war we have in preserving and saving our rich building heritage. What’s of note is that a cemetery makes the list and it’s a stunner of a building. Brandwood End cemetery is your not so typical Gothic chapel and It’s pleasing to see cemetery architecture is included on such a nationally important list. This echoes sentiments that I’ve expressed before; that cemeteries are true museums of people and are invaluable resources to local communities. What’s not so pleasing is the state it’s gotten itself into, a result of being closed for thirty years and obvious years of neglect. Despite the best efforts of a Friends Group, who started fundraising in 2005 and the council pledging £76,000 towards its restoration in 2012, spending cuts to the latter’s budget has meant this building has now found itself on this list and therefore, in structural jeopardy. A quick bit of research shows that it was built by Brummie architect J Brewin Holmes, who did a lot of public work around Birmingham. King’s Norton Rural District Council had been a concerned with making a new cemetery since the 1880’s and by 1895 plans were laid to allow it to be landscaped accordingly – finally opening its gates in April 1899. It’s clearly a popular place as barely fifteen years afterwards, more land was acquired to enlarge it. The bassist of Musical Youth is buried there. Just because the unusual red brick and terracotta chapels finds itself on the list does not mean it’s all doom and gloom – I draw your attention to a similar situation that Abney Park cemetery found itself in 2014, where its chapel also featured on the Top 10 Endangered Buildings List for that year. The situation in Abney is now a far happier one; the Chapel undergoing a slow, sensitive and managed restoration –earlier this year Mark, Jake and I paid a visit to a building that for too long had been fenced off. It’s now a performance space which hosts talks and lectures – maybe weddings too, at some point? I’m obviously biased when it comes to matters like this but it’s a peculiarity I’ve come across, especially now that I’m frequenting cemeteries on the continent of similar ages and in general, in much better nick. How we treat our cemeteries is a reflection how we treat our past – the situation is changing, but why not help keep your local one in a good standard? Enough cemeteries have lost the beating hearts and hubs that were once central to their operations ; let’s try and make sure this one doesn’t either. 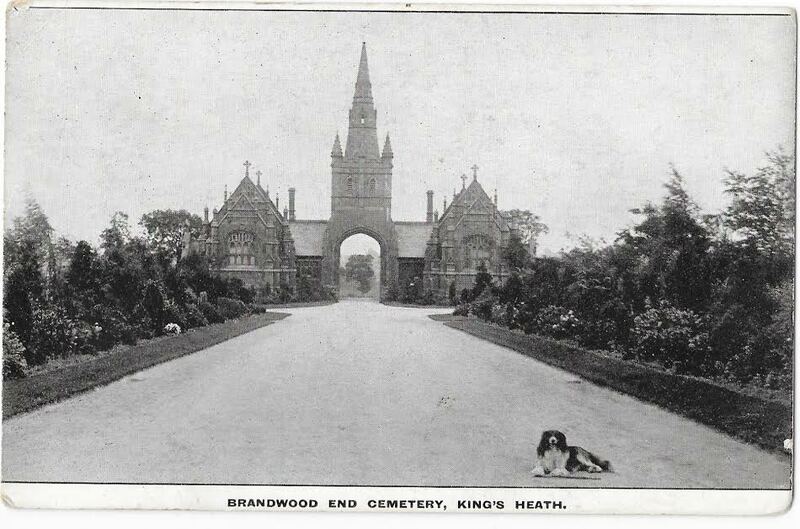 Surely the dead of Brandwood deserve their chapel to be at the heart of the present living community? Take a look at the other buildings announced on the list.